Of all the many and varied ‘facts’ we know about the Victorian era, one is that they loved freak shows. They would queue to see conjoined twins, bearded ladies, midgets, fat ladies and other ‘freaks’ who deviated from the norm. That’s one of the things we tend to dislike about the Victorian era in today’s politically-correct world. But were those people who were shown for their physical peculiarities really badly-treated and used like no more than animals? 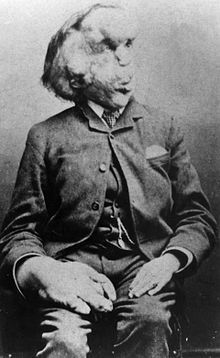 Films like The Elephant Man about the celebrated Joseph Merrick would have us think so. However, it’s interesting to note that the name of the showman in the film was fictitious (as was, they say) much of the rest of the film. This was to avoid any legal complications. Yes, freak shows were popular, there’s no doubt about that. In Victorian times people would flock to Coney Island to see the weird and the wonderful. When you think about it, that part of human nature also brings about the modern day trend of monsters and aliens in the movies that are created with special effects. When the cinema became mainstream it caused the decline of the freak show – people could see far more sensational creatures in the local cinemas. The question remains; were these people badly treated? For instance, Joseph Merrick was described in handbills as ‘The Greatest Freak in Nature’ which might seem remarkably cruel until we realise that Merrick himself had written the slogan. It wasn’t unusual for people to make the most of their own unusual physical features. It’s true that often they were abandoned by their parents. To many, especially the superstitious, the birth of baby that wasn’t exactly like everyone else’s was something to be deeply ashamed of. Other parents saw the financial advantages and either displayed the peculiarities themselves – for fee – or sold them to show people. But often, these ‘freaks’ had a far better life by joining what could loosely be described as the ‘entertainment world’. 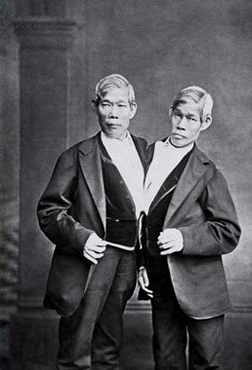 For example, when the conjoined twins Chang and Eng (pictured above) retired to a farm they had bought in North Carolina. They had been born to a poor fisherman and his wife. Another pair of conjoined twins, Millie and Christine did the same. Both sets of twins owned slaves. Chimah the Chinese Dwarf, as he was billed, earned five hundred pounds a week (in early Victorian times) and was said to have bought himself a twenty thousand acre property in Ohio. Another dwarf, Commodore Nutt, received thirty thousand dollars for three year contract. Similarly, Lucia Zarate charged her own dwarf performance services at twenty dollars per hour. “Twentieth Century Fox were buying up everyone willy-nilly. And when I say bought, I mean bought. 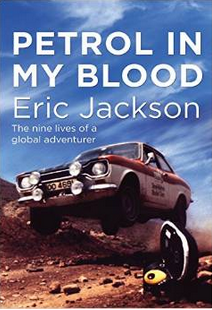 They were going to call me Ricardo or something Spanish and I was going to do a crash course in Spanish so that I could be discovered in Mexico for some extraordinary reason – I think they’d got enough Englishmen at the time. And the contract stipulated that after a certain period of time in Hollywood, I think eighteen months, that I would have to marry one of the girls who were also under contract to them”.